August 20, 2013 (Lakeside) – The 43rd Annual Barona Powwow will be held August 30 through September 1 at Barona Baseball Field, on the Barona Indian Reservation in Lakeside. The Powwow begins on Friday at 6 p.m. with Gourd Dancing followed by the Grand Entry at 7 p.m. Saturday and Sunday will feature Gourd Dancing at 1 p.m. and 6 p.m. and the Grand Entry at 7 p.m. each day. RECYCLE YOUR ELECTRONICS ITEMS FREE JULY 27 IN ALPINE TO BENEFIT U.N.I.T.Y. On July 27, the United Indian Tribal Youth Council (U.N.I.T.Y.) is hosting an electronics recycling event in Alpine. You can bring your old computers, laptops, TVs, monitors or anything else electronic to recycle free of charge. That includes everything that plugs in or that is battery operated. 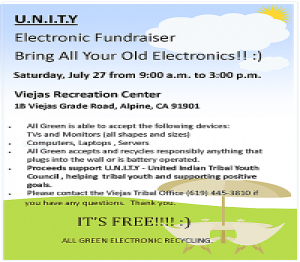 The event takes place at the Viejas Recreation Center, 1B Viejas Grade Road in Alpine on Saturday, July 27 from 9 a.m. to 3 p.m.
Read more about RECYCLE YOUR ELECTRONICS ITEMS FREE JULY 27 IN ALPINE TO BENEFIT U.N.I.T.Y. July 12, 2013 (Lakeside) -- The Lakeside Chamber of Commerce has named Bonnie LaChappa as the 2013 Lakeside Citizen of the Year with their Harry J. Spence Award. 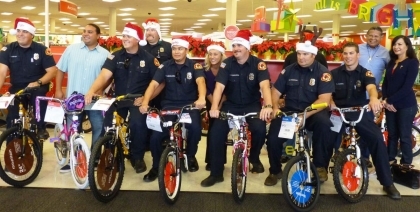 Bonnie, a lifelong Lakeside resident and an elected member of the Barona Band of Mission Indians Tribal Council, is well known for her tireless volunteerism in the East County community. 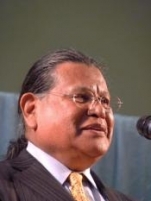 June 30, 2013 (Sacramento) – A measure to require that developers consult with Native American tribes before initiating projects that affect tribal sacred sites and cultural resources has unanimously passed the state Assembly by a 56-0 vote. The bill now heads to the State Senate. 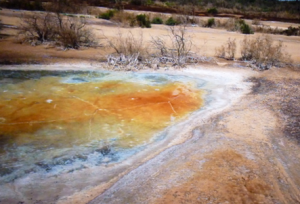 The bill strengthens consultation standards with tribes under the California Environmental Quality Act (CEQA), including impacts to tribal sites among the environmental impacts that must be weighed. But the bill also contains a provision that could allow tribal concerns to be ignored if any one of a list of other benefits is found to outweigh tribal concerns. 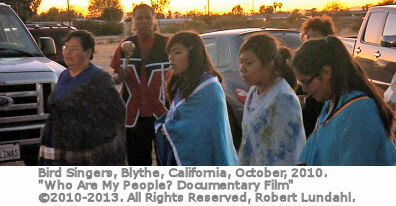 June 20, 2013 (San Diego)--EMMY® Award winning filmmaker Robert Lundahl takes a hard look at U.S. energy policy and its effects on desert ecosystems, Native American tribes and communities across the West. 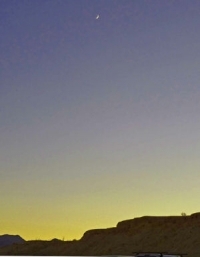 The film has special relevance locally, where major energy projects in San Diego and Imperial Counties have sparked legal actions as tribal members seek to protect their heritage and sacred sites from destruction. 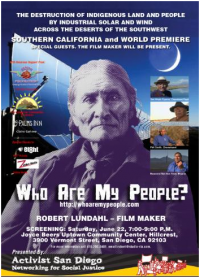 The filmmaker and Native American elders from California, Nevada & Arizona will be present at the premier of “Who Are My People?” The San Diego premier is a special presentation by Activist San Diego on Saturday evening, June 22, 7:00-9:00 p.m. at. Joyce Beers Uptown Community Center, 3900 Vermont Street, San Diego, 92103. June 7, 2013—(Jamul) A full house of 600 Jamul residents came to a meeting on June 5 to hear a presentation by Penn International Representatives, the latest company engaged by the Jamul Indian Village hoping to build a gaming facility for the Jamul Indian Village, part of the Kumeyaay Nation. The project has generated widespread community opposition, pitting Native American sovereign rights and economic prosperity against concerns of neighbors over traffic, fire, and rural community character. 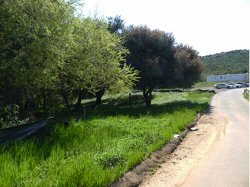 All but one of the residents who testified opposed the project, despite efforts by the tribe to sharply scale back its original proposal. June 6, 2013 (Campo) – On Sunday, June 9, the Campo Band of Mission Indians’ general council ( tribal members age 18 and over) will be asked to vote on whether to approve or reject Invenergy’s Shu’luuk Wind Energy project proposed to be built on the reservation, according to a meeting notice and agenda obtained by ECM. 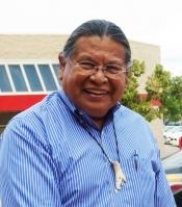 ECM has also obtained a letter sent by the U.S. Environmental Protection Agency (EPA) to Robert Eben, Superintendent of the Bureau of Indian Affairs in Riverside. The EPA letter raises serious concerns over the project’s Draft Enviornmental Impact Statement (DEIR), concluding that there is “Insufficient information” on impacts of three project versions and that health impacts of noise and low-frequency sound on nearby residents have been ignored. 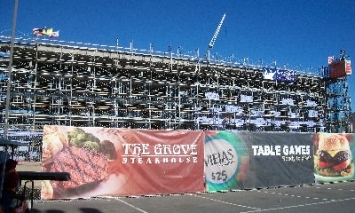 June 4, 2013 (Alpine) – Viejas Casino & Resort has been awarded the prestigious Four Diamond status from the American Automobile Association (AAA), officially designating the property as one of the nation’s premier resort destinations. Fewer than 5% of the nearly 31,000 properties approved by AAA achieve the highly-coveted Four Diamond distinction. April 26, 2013 (San Diego) – At a hearing in San Diego on Monday, members of the state Native American Heritage Commission heard several hours of emotional testimony from Native Americans who contend that the U.S. Bureau of Land Management ignored their concerns and its duty to protect a clearly documented sacred site and cemetery in the fast-tracked approval process for the Ocotillo Express Wind Facility. 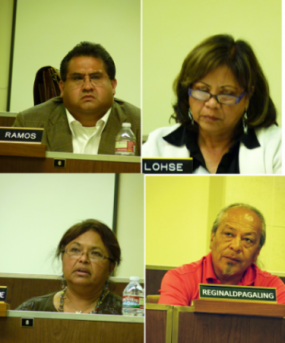 By a 4-0 vote, with the remaining commissioners absent, the NAHC voted to grant requests by Viejas and Quechan tribes to declare the 12,400 acre Ocotillo wind project site a sanctified Native American sacred site. Further, the commissioners voted unanimously to ask California Attorney General Kamala Harris to research if legal action can be taken. April 19, 2013 (Alpine) – Bird singers, resources, food, activities, crafts for kids, entertain and more are all part of the Southern Indian Health Clinic’s annual Spring Gathering set for April 27 from 10 a.m. to 2 p.m. at the Alpine Clinic, 4058 Williows Road in Alpine. April 12, 2013 (San Diego’s East County) – The California Native American Heritage (CNAH) Commission will hold a hearing in San Diego on Monday, April 22 at 11 a.m. 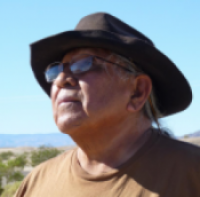 The hearing will focus on results of an NAHC investigation into local tribes' allegations that the federal government failed to protect Native American cultural resources at the Ocotillo Express Wind Facility site. The hearing will be in the State of California Building, 1350 Front Street, San Diego 92101 (between A and Ash Streets). A hearing previously set for February was cancelled without explanation. 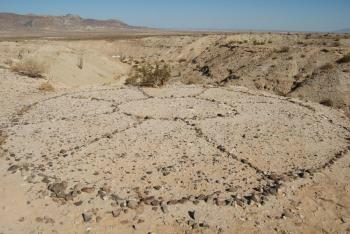 The CNAH had issued a draft report in support of claims by the Viejas Band of the Kumeyaay Indians and Quechan Indian Nation that the Bureau of Land Management failed in its duty to protect cultural resources, including human remains and sacred sites, at the Ocotillo project. The draft staff report detailed a disturbing pattern by the BLM, Pattern Energy and a project archaeology consultant of ignoring tribal concerns and failing in its duty to protect cultural resources. 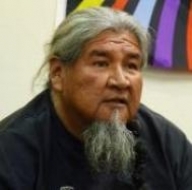 Editor's note: This is a victory born in the Idle No More Movement for Native rights, which has spread from Canada to the U.S. ECM recently covered Idle No More speakers in San Diego, including local Kumeyaay members. March 28, 2013 (Ottaway, Canada)--After over two months and 1600 kilometres (approx. 994 miles) of walking, the journey of Nishiyuu - a Cree word meaning “the people” - reached Cam-nada's Parliament Hill, in Ottawa, on Monday, March 25. That same day, Bernard Valcourt, Minister of Aboriginal Affairs and Northern Development, formally welcomed eight First Nation communities into Canada's First Nations Land Management regime. 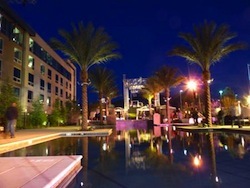 March 18, 2013 (El Cajon) – Sycuan Casino in El Cajon has agreed to serve as presenting sponsor of the 12th annual San Diego Advertising Fund for Emergencies (SAFE) fundraiser and party from 6 to 9 p.m. on Thursday, March 21, at the Ivy Rooftop Lounge atop the Andaz San Diego, 600 “F” St., in the Gaslamp District in Downtown San Diego. 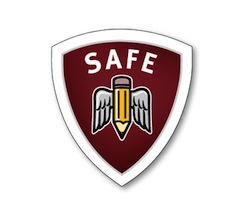 SAFE is a volunteer, non-profit organization (501c3) that provides confidential financial assistance to local advertising and marketing professionals and their families facing a life crisis emergency. The fundraiser will feature food, networking, entertainment and a silent auction to benefit SAFE grant recipients. Cost to attend is $50 per person, $30 per person for students, or $70 per person at the door. 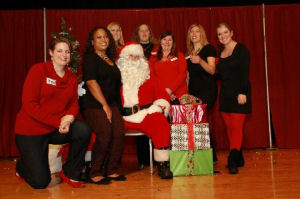 For tickets and more information, visit www.aboutsafe.org. 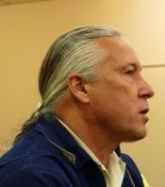 March 8, 2013 (San Diego) – Troy Teague, former Executive Director of the La Posta Gaming Commission, pled guilty today to embezzling $57,000 from the la Posta Band of Mission Indians. The plea was made before Magistrate Judge Jan Adler, U.S. Attorney Laura E. Duffy announced. 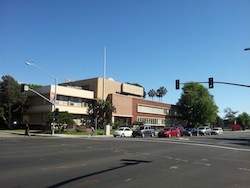 The La Posta Casino (photo, left) shut down in October 2012. 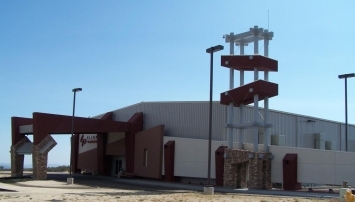 A letter written by Tribal Council Chairwoman Gwendolyn Parada to employees stated that the casino, located off I-8, would close “due to its current financial situation,” 10 News reported. The smallest of San Diego County’s casinos, at its peak La Posta employed approximately 100 people. Update February 12, 2013: A hearing set for February 15 in San Diego has been postponed. 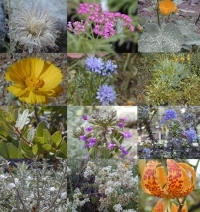 January 22, 2013 (Ocotillo ) – The California Native American Heritage Commission (CNAH) has issued a report in support of the Viejas Band of the Kumeyaay Indians and the Quechan Indian Nation claims that the Bureau of Land Management failed in its duty to protect cultural resources including human remains and sacred sites at the Ocotillo Express Wind Facility. The draf staff report details a disturbing pattern by the BLM, Pattern Energy and a project archaeology consultant of ignoring tribal concerns and failing in its duty to protect cultural resources. 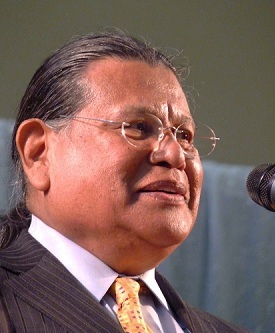 The tribes petitioned the NAHC to investigate and conduct a public hearing to consider tribal requests to declare the entire 12,500 acre site a ‘sanctified cemetery’. Tribes also seek to have the project halted to assess damage and want agencies to consult with tribes to agree on mitigation measures to prevent further harm to a broader region. The case has broad national significance, with hundreds of millions of acres of public lands slated for renewable energy projects. The NAHC has cancelled a Public Hearing that had been scheduled at the State of California Building on Front Street in Downtown San Diego for February 15, offering no explanation for the indefinite postponement. U.S. District Court Judge Gonzalo Curiel heard arguments in a lawsuit filed by the Quechan tribe of the Fort Yuma Indian Reservation against the U.S. Department of the Interior and Bureau of Land Management, among others. 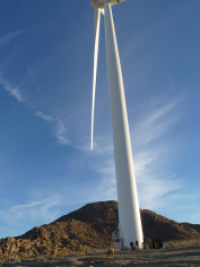 The suit contends that the federal government failed to protect Native American cultural resources, including sacred sites, when it allowed the Ocotillo Wind Energy Facility to be built.